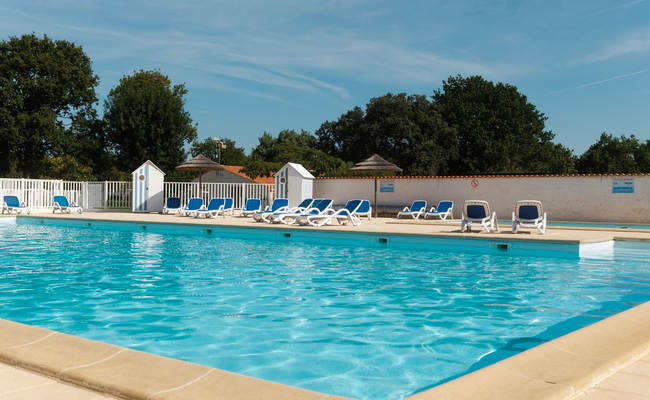 Les Floralies Campsite is a four-hectare site with 232 pitches, a heated swimming pool, a recreation area for young and old(er!) alike, outdoor facilities including a football pitch, volleyball court, and petanque lawn, and lots of other fitness and sporting equipment. 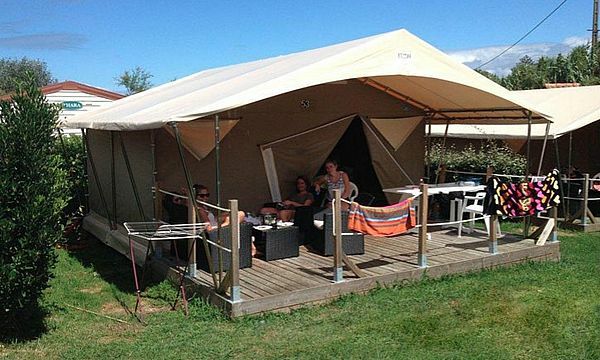 Whether you’re arriving with your caravan, tent, or camper van or you’d prefer the cosy interiors of a lodge or, even better, a mobile home featuring every comfort, here you can make the most of our beautiful, mostly shaded campsite for the perfect getaway with friends and family on the French island of Oléron. 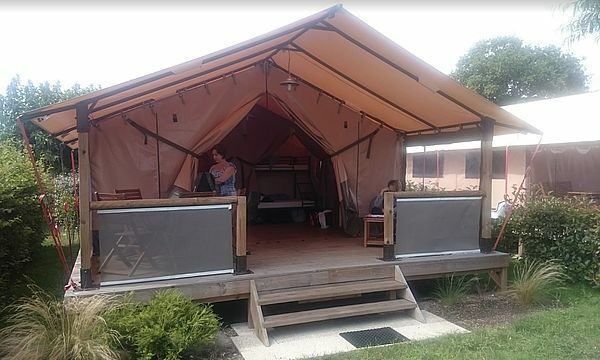 Enjoy our three-star camping facilities with all the amenities you could ever need for the perfect getaway. 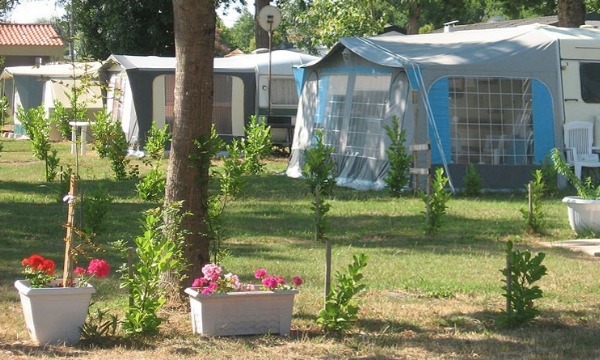 Book now to reserve your holiday at Les Floralies Campsite! With reservations available from January, you could soon be enjoying the great outdoors with fun guaranteed for the entire family. Make the most of the sunshine, unwind, and catch a tan as you enjoy the campsite’s large, heated swimming pool. 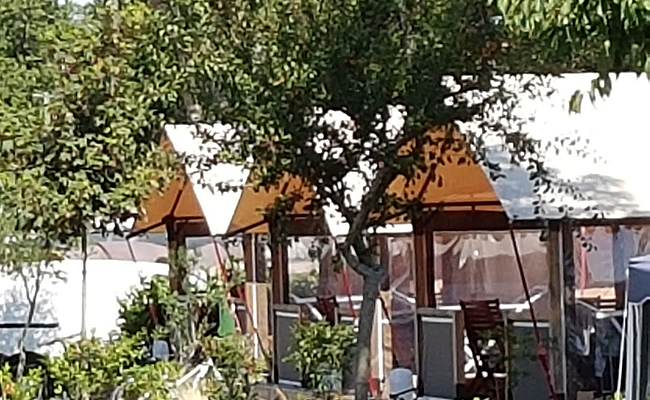 Les Floralies: nature and leisure all rolled into one. 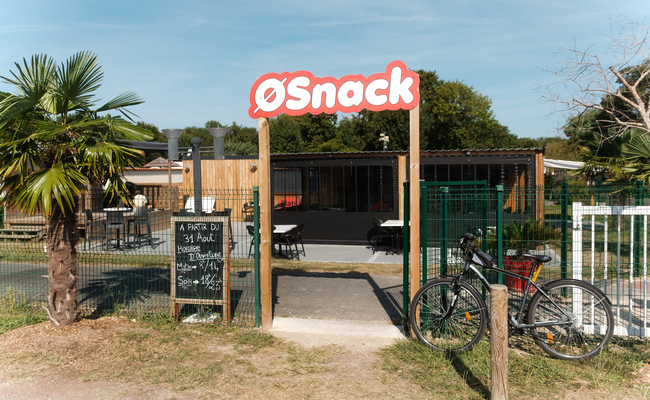 Les Floralies Campsite has a snack bar (open in July and August) as well as a bar, mini-supermarket, fresh bread deliveries, laundry, WiFi, and bike rentals. 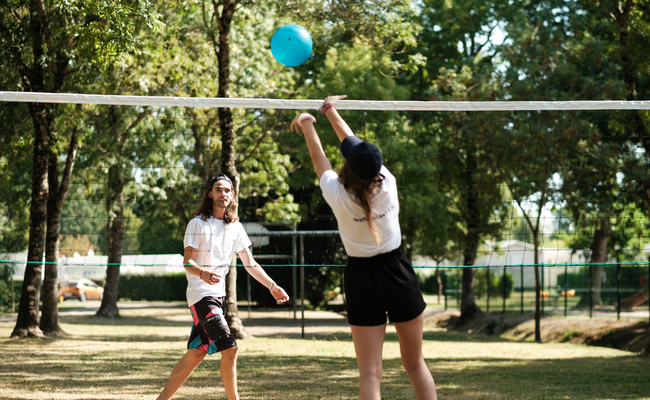 On site, we offer a wide variety of different activities throughout the high season in July and August, with everything from fun fairs complete with bounce houses to circus workshops, belly dance classes, and petanque competitions, plus two evening shows per week and summer balls featuring DJs. 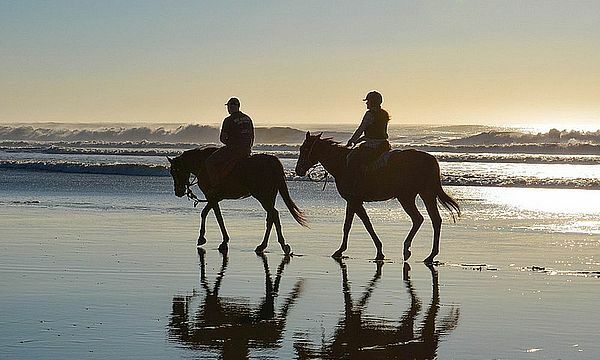 With cycling trails just 150 m away, you can be at the beach in under 15 minutes, while Vert Bois, a local surf spot with a surfing school and sand yachts is 5 km away. 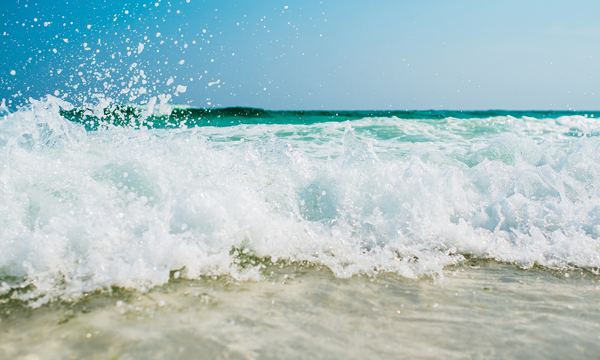 Visit the nearby centre of Dolus to enjoy the wide range of shops and the summer market open every morning in the high season (7 minutes away by bike), along with the Monday-evening market, where you’ll find local products, oyster tastings, and concerts. 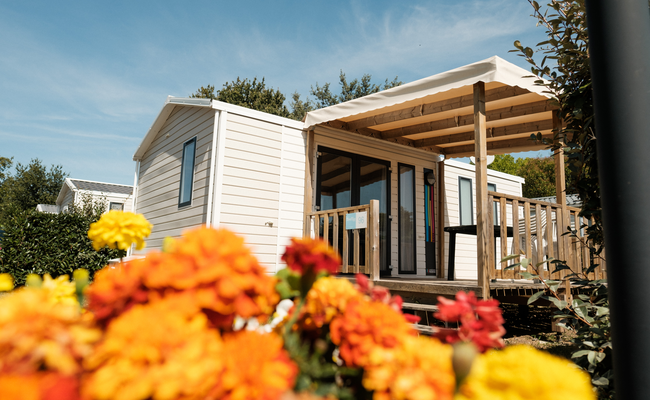 Explore our mobile homes as if you were here!